Head to Colorful Colorado and the Salt Lake State for the most fun two weeks of your summer! Enjoy the splendor of Rocky Mountain National Park while day hiking before volunteering for trail work with the Colorado Fourteeners Initiative. 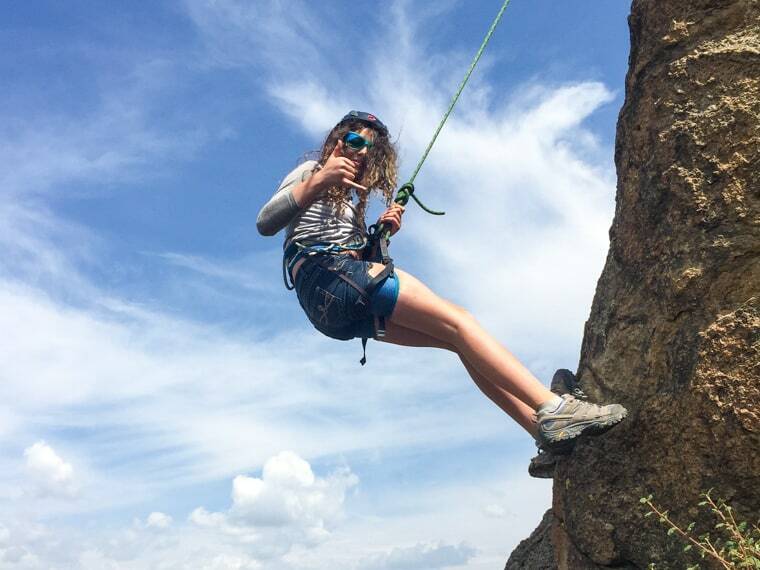 Head south to whitewater raft the Arkansas River’s Browns Canyon section, and then rope up and improve your rock climbing skills on beautiful and beginner-friendly granite and quartz crags. Float down the Colorado River for three days of rafting in Westwater Canyon, and then walk beneath the world’s most remarkable rock archways in Arches National Park. Head on to mountain bike your way up the world’s largest flattop mesa, and then finish your western adventure with a multi-day trip down the Colorado River! Start off your trip with two days in Rocky Mountain National Park. Our first hike will take us to the 200-foot-tall Calypso Cascades, a waterfall in the southeast corner of the park. The next day, we’ll tour some of the area’s most beautiful alpine lakes surrounded by aspen and lodgepole pine: Bear Lake, Nymph Lake (which contains hundreds of magical-looking lily pads), Dream Lake (turquoise water isn’t limited to the Bahamas! ), and Lake Haiyaha (Haiyaha is a Native American word for “lake of many rocks”). We then head west for three days of rafting in Westwater Canyon on the Colorado River! You’ll be surrounded by dramatic Utah redrock, with bald eagles soaring hundreds of feet above you. You’ll start off with calm water, where you’ll get to cool off with splash wars and cliff jumps. You may even get to paddle a stand-up paddleboard! The river starts to pick up with class II and eventually class III rapids. With names like Big Hummer, Surprise Rapid, and Funnel Falls, you’ll want to hold on tight! We’ll take breaks from the boats every few miles with special hikes to historic Native American sites. After we hop off the river, it’s time for Moab and Arches National Park, home to more than 2,000 of the world’s most beautiful sandstone arch formations. We’ll wake early for a special sunrise hike to the famous Delicate Arch before visiting Double Arch (where parts of Indiana Jones and the Last Crusade were filmed!). Next, we’ll head back to Colorado for two days of traversing part of the largest flattop mountain in the world—Grand Mesa! More red rock formations contrast sharply with lush meadows as you cycle toward Long Slough and Flowing Park reservoirs. Though you’re in the desert, more than 300 small lakes populate Grand Mesa National Forest. We’ll stop and admire miles-long views of western Colorado along the way and make sure to cool off in creeks and mud puddles! My favorite part was the social interaction: making new friends, helping each other out, and teamwork. All of the activities were fun! 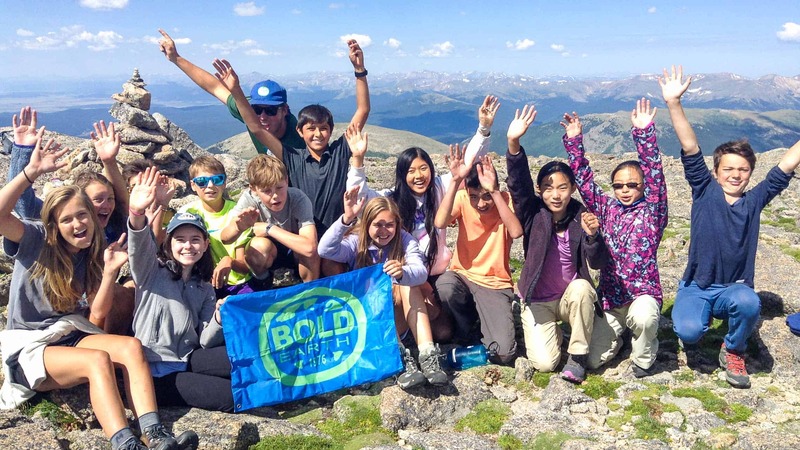 Having had my daughter participate in wonderful Bold Earth programs the prior two consecutive years, I was confident about another successful experience for my son, no matter where I sent him. He made lifelong friends and learned new skills in places he had never been, all of which got him out of his comfort zone and gave him a huge boost of positive energy and confidence. He is still extremely stoked about his bike, hike and raft trip with Sara and Zach, and is totally game for a new Bold Earth adventure next year. Thank you so much for all you do to create amazing forever memories! Colorado was a great learning experience and helped me develop skills I know I can use in adult life!